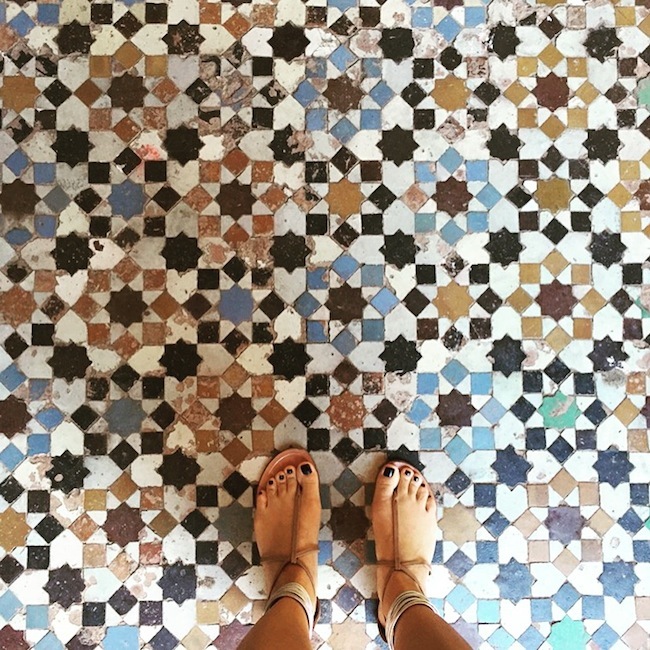 Are you a fan of floors? 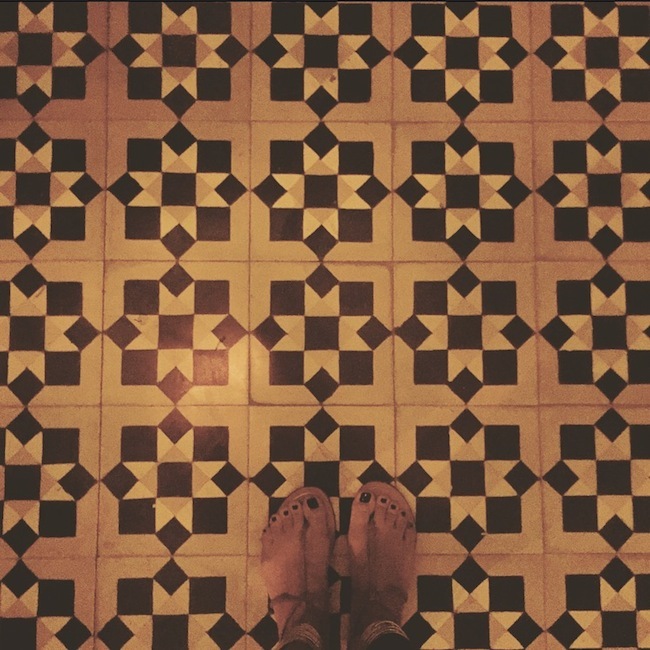 Yes?…Stay put because I have this thing with floors. No?…Ciao, see you next week! HA. 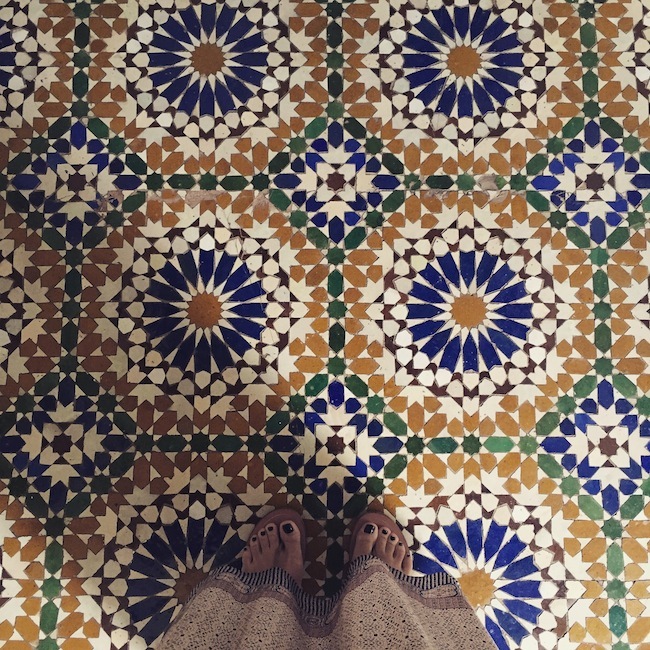 Seriously though, I'm flipping through my phone and finding so many photos of beautiful floors beneath my feet all over Morocco. 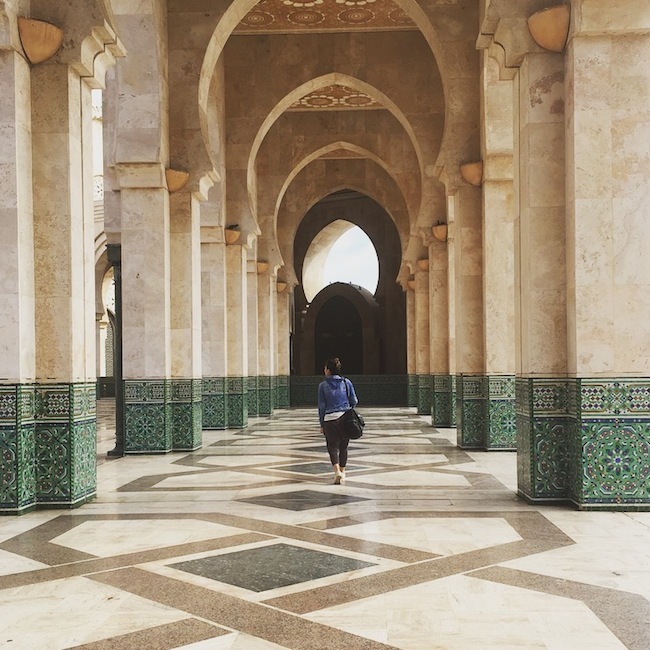 Marble floors at the grand mosque in Casablanca. Rugs in abundance everywhere, because it is the land of rugs. 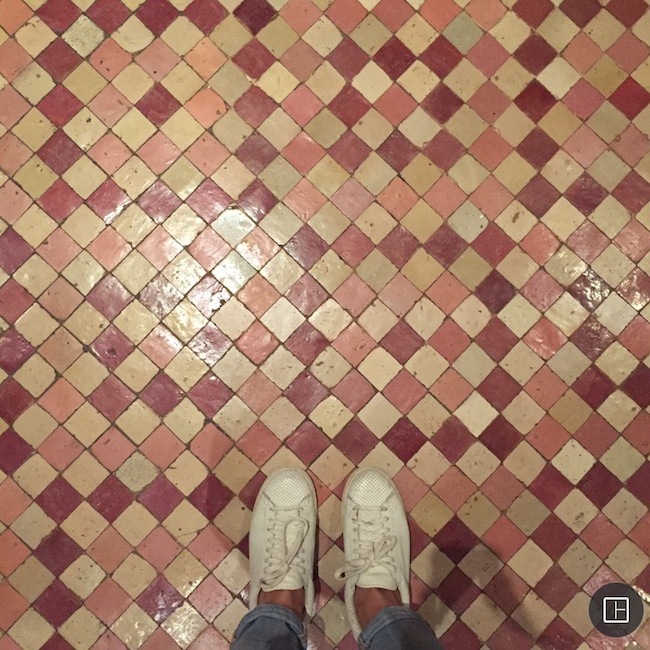 But what surprised me was that almost every place we went to had a tile floor to gawk at. Seemed common over there, even though it's considered a specialty in the USA. It was a daily discovery to feed my obsession! In LOVE everyday. Lucky me!! 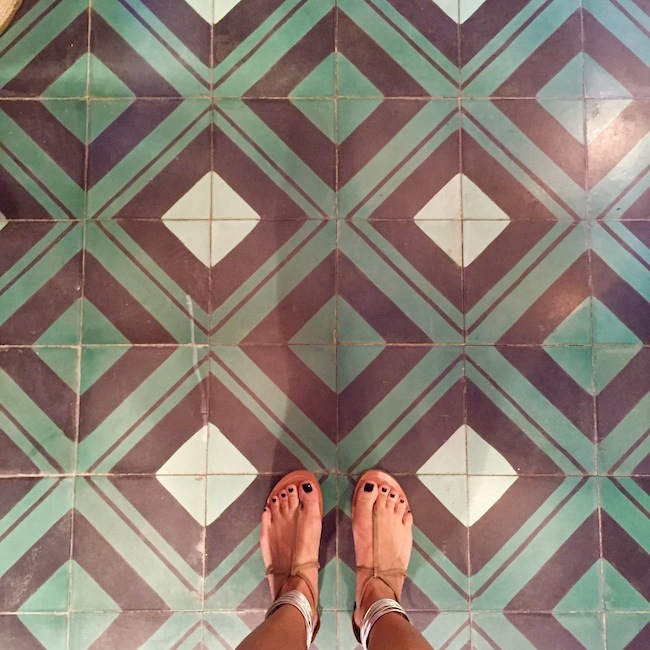 Don't forget to look at the floors you walk on this weekend. Tag me if you see anything interesting!